ISN'T IT FINALLY TIME YOU STOP HIDING + FILL YOUR CALENDAR WITH CLIENTS? ​You want to be a full-time coach, finally have the freedom of working for yourself and have a waitlist of clients knocking on your door. You're done with being frozen with fear, terrified of technology, and unsure of how to run a coaching practice. You're ready to kick the confusion to the curb, quit with the analysis paralysis, and finally do this thing. Because right now that sounds like a million lightyears away, a delightful fantasy, and maybe in your next lifetime -- right? Luckily (or maybe not? purrrr) you're not a cat, m'dear -- you don't have to wait for your 9th life to have your dream coaching career. Your passion project starts now. 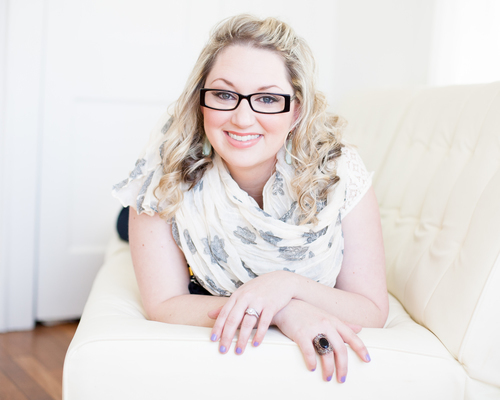 ​I'M JAMIE JONES AND I CREATE SOLUTIONS FOR HEALTH + WELLNESS COACHES WHO WANT TO HAVE PROGRAMS & OFFERINGS THEY CAN BE PROUD TO SHOW OFF, UNDERSTAND HOW THE HECK TO RUN THIS BUSINESS AND FINALLY DO THE WORK THAT LIGHTS THEM UP. I BELIEVE THAT IT’S 100% POSSIBLE TO BE SUCCESSFUL AS A HEALTH COACH. Because when you focus on your strengths and strategy… you’ll finally see the path that’s been blurry, feel confident and ready to drop some knowledge & start attracting your ideal clients. I THINK IT'S SAFE TO SAY I'M TOTALLY YOUR ADVOCATE AND YOUR HAPPINESS + SUCCESS IS MY MOJO. Holistic living has been a self-taught past-time of mine for the past decade. After watching the Documentary Super Size Me about three years ago, I had the worst feeling in the pit of my stomach. I'm not joking when I tell you that before the documentary was even over, I was Googling Nutrition Schools to attend. I just couldn't sit back and not do anything about this epidemic any longer. This fateful evening, I found the Institute of Integrative Nutrition. SIT BACK, RELAX, AND KNOW THAT YOU'RE IN GOOD HANDS.